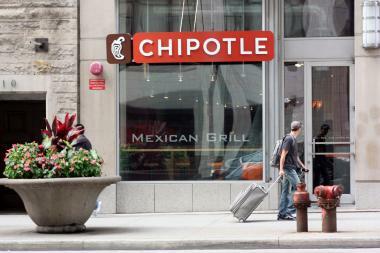 All Chicago Chipotle restaurants, including this one at 316 N. Michigan Ave., will offer the tofu option. CHICAGO — Vegan fans of Chipotle will soon have a new menu option. Colorado-based Chipotle Mexican Grill is planning to test its "Sofritas" shredded tofu option at all Chicago-area restaurants starting on Oct. 21, the company announced Friday. The tofu, sourced from Oakland, Calif.-based Hodo Soy, would be braised with chipotle chilies, roasted poblanos and spices. "It was conceived with vegetarians and vegans in mind, but it's so delicious that we see its crossover appeal as well," Chipotle founder Steve Ells said in a statement. There are currently 25 Chipotle locations in the city. New restaurants are coming to Portage Park, Hyde Park and the West Loop.